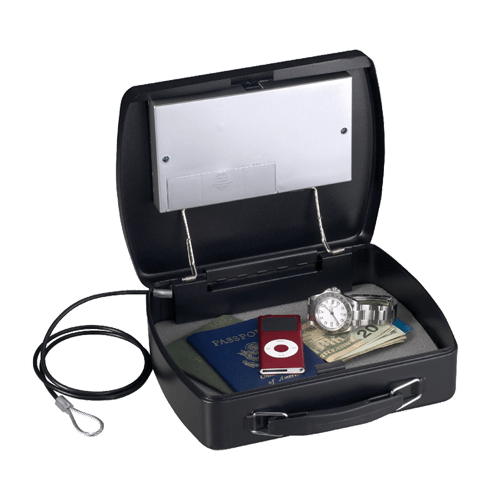 P008EML Portable Security Safe is rated 5.0 out of 5 by 1. The Master Lock Portable Lock Box P008EML is designed with multiple security features to protect your irreplaceable valuables. 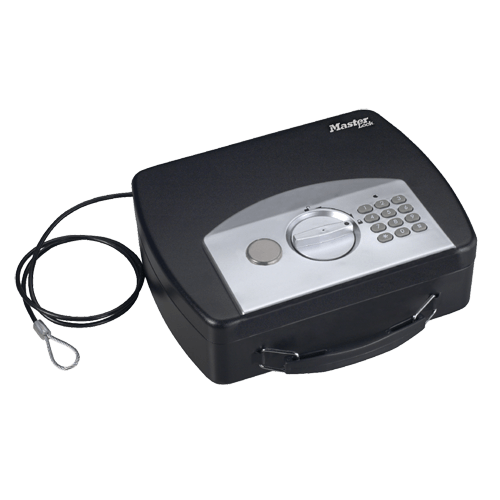 Complete with a carrying handle for easy transportation, this safe is ideal for your on-the-go security needs. Rated 5 out of 5 by JRG73 from Nice Safe Nice small safe for use in my truck. Easy to set up and easy to conceal.